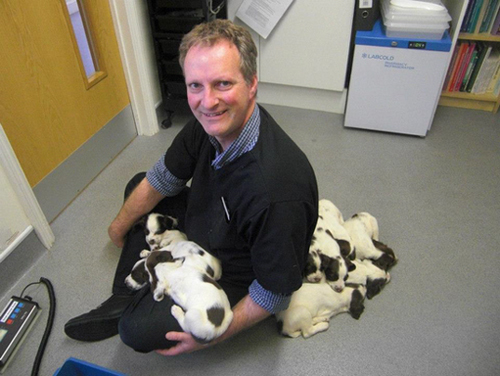 We go above and beyond for your pets in our care! 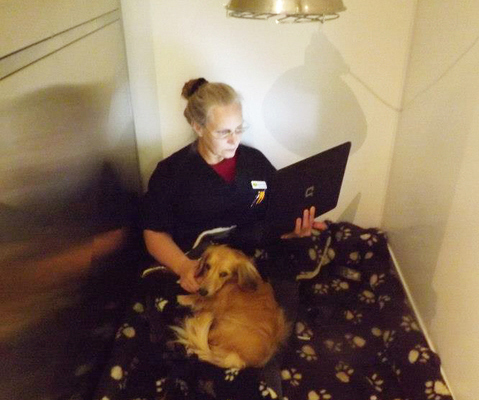 Margaret keeps a patient company so he won't feel lonely while he heals. We make our guests feel welcome! 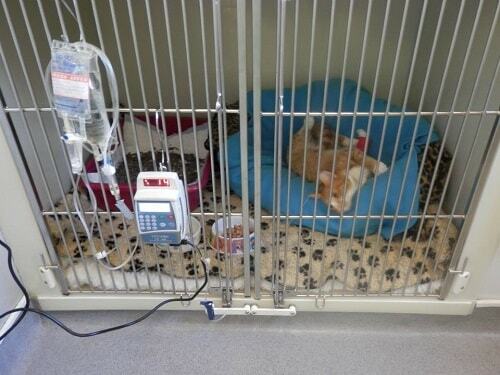 We go above and beyond to take special care of your pet. 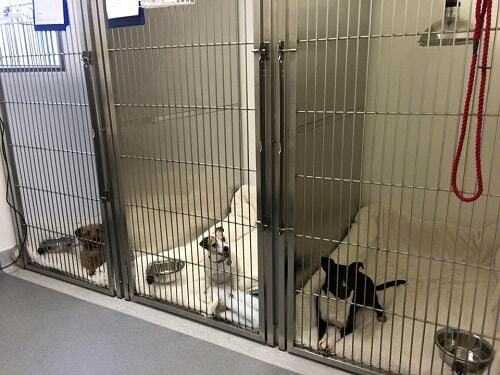 Dogs big or small enjoy our spacious walk-in kennels. 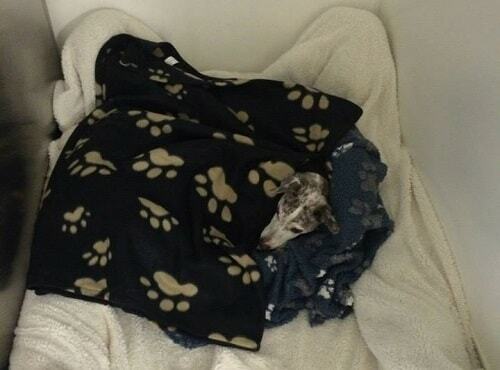 Our ample luxury bedding – just what a sick or injured pet needs to be comfortable. 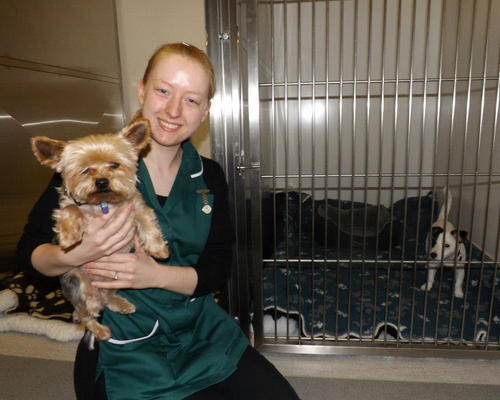 Veterinary Nurse Hannah tending to adorable patients! Small furries have copy comfy bedding customized for their type. 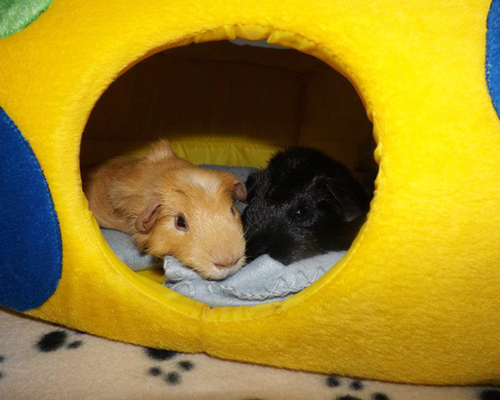 These guinea pigs recover from their castration operations. 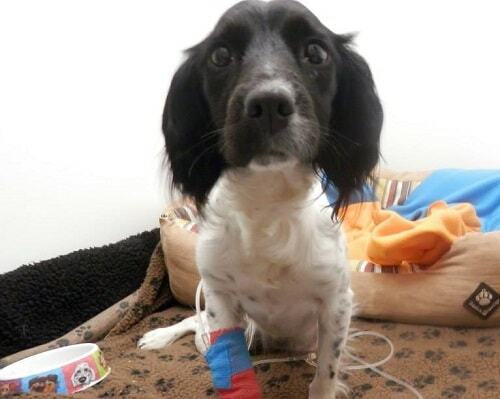 A cosy bed and warm kennel from the under-floor heating help this pet recover. 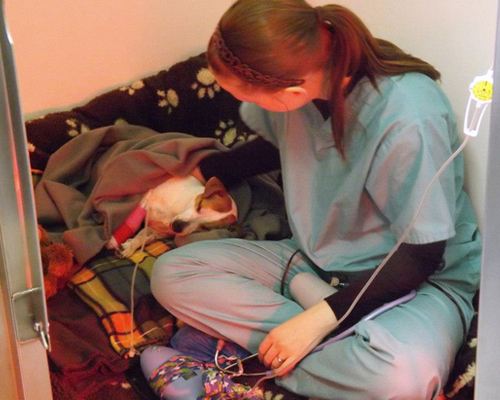 Your pet never leaves our care and receives loving attention by our dedicated team. A new family is an event to celebrate! 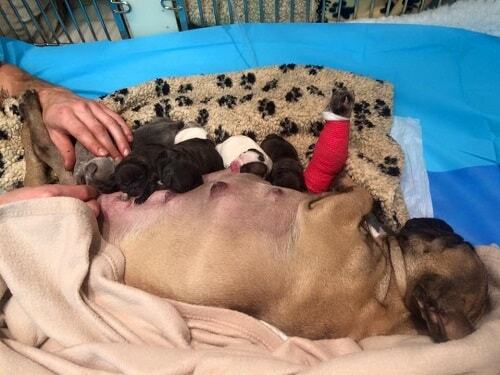 Mum rests on our luxurious bedding after giving birth to her little bundles! 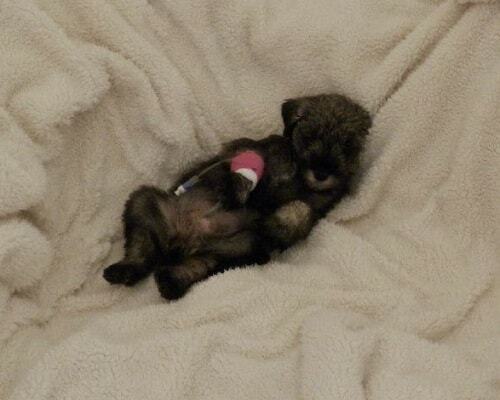 Sadie had a fracture repair. 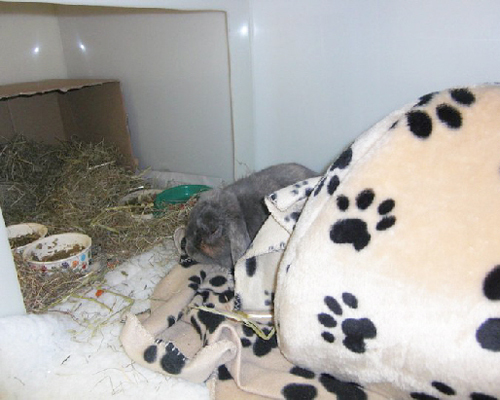 She appreciated the loving care and the cosy bedding too. 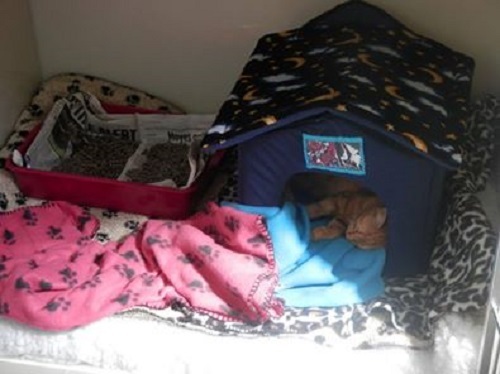 We have a variety of cat bed choices to help make them feel secure and at home. Making the cat as secure and relaxed as possible is what we do! 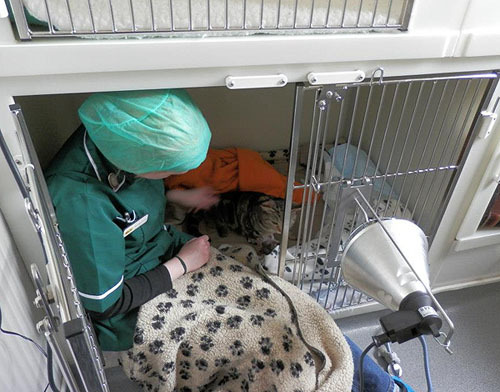 Our long term cat kennels are quiet, roomy and push – great space as a client spends some time visiting her precious pet. We are always for you to visit your pets! We do whatever is needed to make your pets happy. 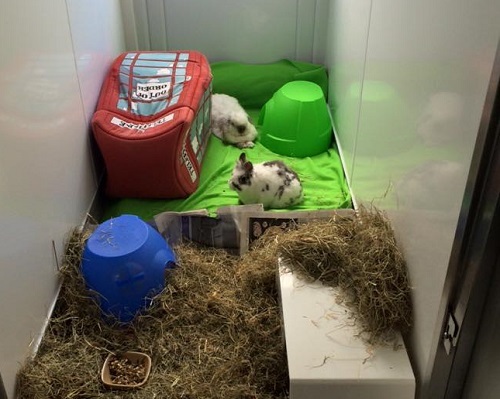 These rabbits were in for a long stay so we turned a room into a rabbit friendly "hutch". We know you miss each other so please feel welcome to visit. 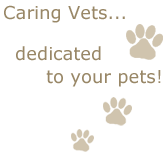 We will make you comfortable wherever is best for you and your pet. 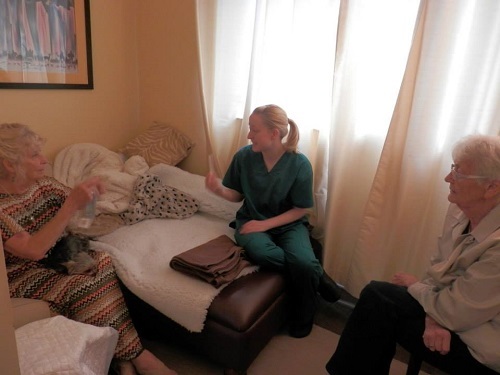 Hannah chats to owners about their pet.